Imagine a monastery rising from the blue Aegean. With the white sun skipping across the sea, nourishing the islands’ herbs and olive trees. It was here, in the Greek Cyclades, that founder Athena Hewett first experienced the power of aromatherapy and natural skincare. Her grandmother pressed oil from their own grove and mixed sage, chamomile, and rosemary into tonics to purify and heal her skin. with the founder Athena Hewett. AGB: Do your Mediterranean roots influence your formulas? AH: Yes, I think that my roots influence my recipes even more than I realize. My mom grew up on a farm in Greece, and my dad grew up on a farm in New Zealand, and then they raised me on a farm in Central California. We lived in what might now be called a farm to table lifestyle - I never knew any different. Both the Mediterranean & New Zealand lifestyles are simple, pure, and organic. Ingredients are fresh and of the highest quality. Monastery's ingredients are the same. We source our ingredients from small farmers. I never thought of doing it differently. AGB: Which product do you sell out of more than others, and why do you think that is? AH: Our best seller is the Rose Cleansing Oil, It has some amazing floral absolutes in it like Ambrette and Edwardian Rose. 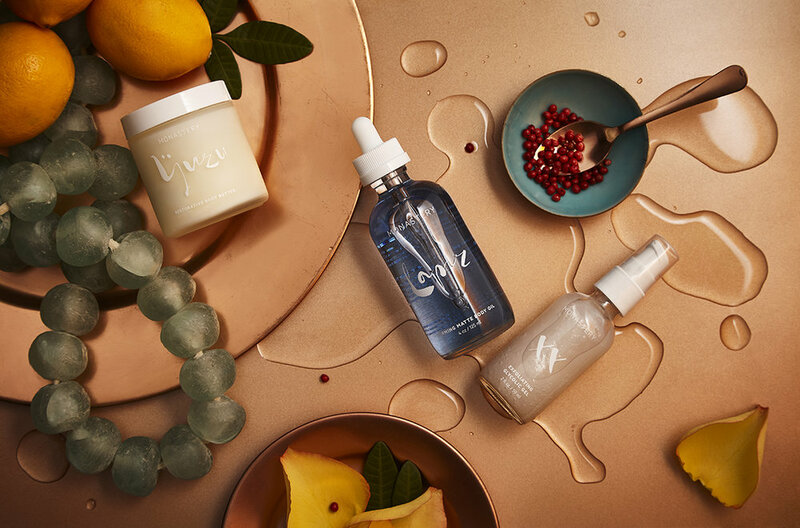 Those ingredients are so precious that I'm sure we are the only ones putting ingredients of such a high quality into a cleanser, and it seems that the word is getting out. The Gold Healing Serum is new, and we already sold out of it three separate times so far this holiday season. We realized it was an amazing product, but we were caught off guard at how quickly our customers came to the same conclusion. The process of making it is long and laborious because we infuse the base of the serum for weeks in rose petals. We were scrambling there for a bit when it kept selling out, but fortunately I think we’ve got a good system now. AGB: What’s your personal beauty regime look like? AH:I am a simple person, just as I mentioned before, and my skin is very sensitive. My regimen consists of the Rose Cleansing Oil and at night, that's it. In the morning I splash my face with water, dry it off and apply the Gold Healing serum. I let that soak in and I apply the Attar Repair Concentrate (which is my favorite product of ours, it's an incredible floral wax concentrate that is just so yummy). Then I apply a sunblock that I make, it's not packaged yet but it's coming. It's actually very rare that I wear makeup but when I do feel I should I wear some I use iliaBeatuy foundation, a Tata Harper lip color, and Kjaer Weis mascara. AGB: What are some of your favorite things in life?